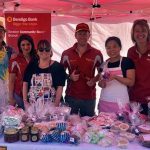 Inner West Community Enterprises > Events > What is a Startup? You think you are one, you hear about them, what actually is a startup? A leading Melbourne entrepreneur and startup advisor will give you the facts! You will hear about the Melbourne startup community, how it works, where the support is, who to talk to and how to be a part of it. Meet other startups from Footscray and surrounds.